As Peter Jackson set out on his own unexpected journey to adapt The Hobbit to film, he faced an almost impossible challenge. The incomparable achievement of his The Lord of the Rings trilogy - record-shattering, Oscar-hoarding, smash-hit success with Tolkien enthusiasts, critics and layman moveigoers alike - set expectations at a stratospheric height across-the-board. Not only that, but Jackson and collaboraters Fran Walsh and Philippa Boyens faced the task of producing engaging and resonant motion pictures in the shadow of Rings with much lighter source material which, despite purists clamouring to have it remain unaltered, would have produced a far more inconsequential and trivial outing had it been adapted without any of An Unexpected Journey’s elaborations and explorations into character and exposition. Fortunately, whilst this first installment of the new trilogy does lend the narrative greater relevance to the tale that is to come in Rings, Jackson and company have nonetheless still done an excellent balancing job of imbibing it with some of the Rings gravitas whilst capturing the less somber and more jovial tone of the novel by injecting plenty of fun and whimsy into proceedings. This is the core tale of The Hobbit as it is found on the page - a more breezy, spontaneous road adventure - albeit now with some of the creeping dread of darker things to come, and a welcome, brilliantly judged realisation of dwarven culture and history which lends the central quest far more weight, depth and purpose than it originally had on the page. As well as this, key plot points - for instance, why select such an inexperienced and unwilling creature as Bilbo Baggins to go on such an important, perilous quest? - are given clear, Tolkien-penned explanation and elaboration that is absent in the book itself but patently necessary for a modern, savvy movie-going audience. In fact, much of the expansion and additions featured in An Unexpected Journey are of this ilk - extra background or detail to help craft a satisfying, dramatic and purposeful story and cinematic experience from a tale that is, in its original form at least, much less forthcoming with detail, character motivation and narrative reasoning. As mentioned, the central story remains relatively unaltered, as homely hobbit Bilbo Baggins (Martin Freeman) is whisked away on an adventure from the comfort of his rural idyll to assist the wizard Gandalf the Grey (Ian Mckellen) and a company of thirteen dwarves, led by exiled royalty Thorin Oakenshield (Richard Armitage), on their quest to reclaim the dwarven kingdom of Erebor after it was decimated and claimed by Smaug the Terrible, a treasure-hoarding dragon of awesome power and whom is only fleetingly glimpsed in this first film (think Gollum back in Fellowship of the Ring). It’s an effective, engaging tale which, as mentioned, is bolstered here by a mix of longing, dwarven pride and determination to reclaim their lost home, and a sense of brotherhood and camaraderie gradually gives echoes of Fellowship and lends the central quest a meaningful, empathetic slant. As the film develops, key set pieces from the book are brought to life with Peter Jackson’s trademark flair and invention - a suitably farcical and comedic take on a sequence featuring three familiar-looking trolls and a more rounded and character-driven return to the Elven valley of Rivendell through to an engaging and action-packed final reel where the film bowls through encounters and showdowns in goblin town through to a fiery treetop finale on the slopes of the misty mountains. ‘Riddles in the Dark’, quite possibly the most iconic chapter from the book, also features here, and is certainly a highlight, with the writing, directing and performances being easily on par with anything that came before in Rings. 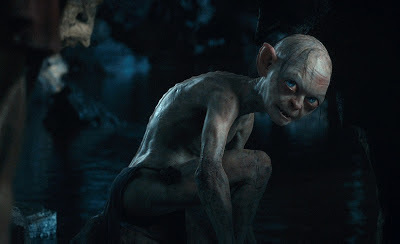 It is a taught, engaging sequence that Jackson nails perfectly, bandying as it does with comedy, tension and danger and a welcome return to Andy Serkis’s terrific portrayal of Gollum reminding us once again why the character was such an enormous success and fan favourite from the Rings trilogy. 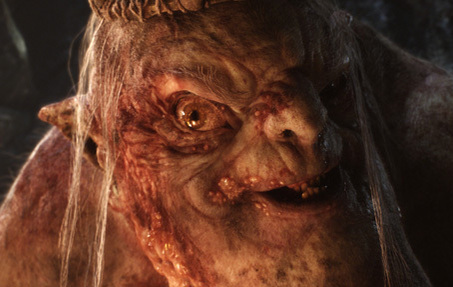 Whilst there is great fun to be had with riddles, trolls, goblin towns, elves and a hilarious CG appearance by Barry Humphries as a bloated, orating goblin monarch, not all of the key sequences and set pieces are as effective. A mountainside encounter with sparring stone giants is visually stunning and beautifully designed but strangely devoid of any palpable tension or danger, feeling far more rushed than a similar (and far more tense) sequence on a crumbling Moria staircase in Fellowship of the Ring. Similarly, an early encounter with Wargs prior to the company arriving at Rivendell feels perfunctory, somewhat haphazardly constructed and redundant when it is repeated far more effectively later in the film, seemingly there to solely add some momentum to the first half of the film. Occasionally Jackson also takes the action sequences into realms of unnecessary excess, with moments such as a collapsing walkway in Goblin Town in particular severing audience connection and being a little too extreme and goofy in comparison to what we are used to with the more tangible reality of Middle Earth. 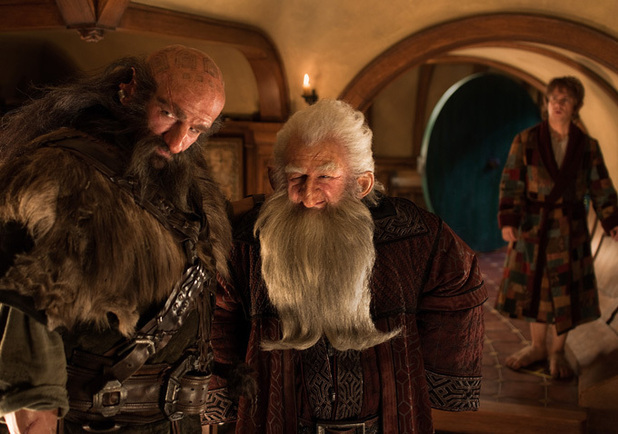 Similarly, a subplot featuring a hunting party of Orcs and the elevation of the antagonistic Azog is understandable yet a little overdrawn and repetitive, as are the numerous occasions where the resolution of action sequences or set pieces (usually due to the arrival of Gandalf or the intervention of the dwarven company) robs much of the action of tension or a satisfying conclusion. When Thorin, Gandalf and co can blitz their way through a seemingly endless onslaught of Goblins, Wargs and other nasties with nary a scratch, it's difficult to feel as fraught as we were when following the same or similar characters through the plights of Moria or Helm's Deep back during Rings. This is mostly forgivable, however, as the next two films will feature events that are far grander in scope and scale than what the team had to work with on Journey so hopefully the excess will not be needed, and credit must nevertheless go to PJ and his team for crafting such a bold, exciting and genuinely epic outing from the relatively sedate and less grandiose chapters in the novel that are adapted here, even if on occasion it is a little too over-the-top for its own good. 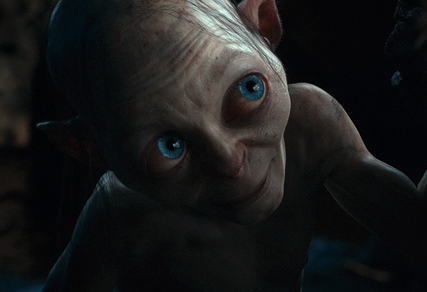 The extra material added to the movie is not, as some unfairly lambasted prior to release, unnecessary padding, but rather as mentioned mostly focused on character arcs, exposition or a conscious attempt to draw the narrative more closely to the rise of Sauron and the eventual plight of Frodo and the One Ring. 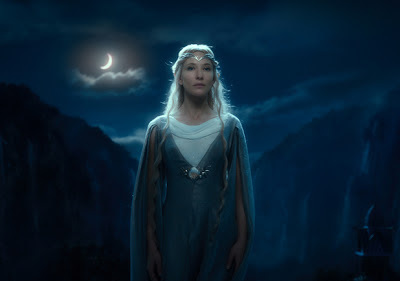 We see the return of characters not featured in the book, but again based on the writings of Tolkien, in moments such as a welcome and effective scene involving the ‘White Council’ which sees a return of Cate Blanchett’s ethereal Galadriel and Christopher Lee’s white wizard Saruman prior to his corruption and turn to the darker forces. The writing team do great work here; there is no awkward shoehorning of character cameos that so plagued the Star Wars prequels but rather a succinct, layered exchange that explores some brilliantly developed dynamics between the characters despite their relatively brief screentime. Saruman’s scorning of Gandalf and Radagast (more on whom later), rambling on as he does whilst Galadriel and the grey wizard engage in a knowing telepathic conversation, and an audience-friendly nudge to Sauron and the Witch King who are supposedly vanquished and unable to return and yet leaving eerie omens that may indicate otherwise. 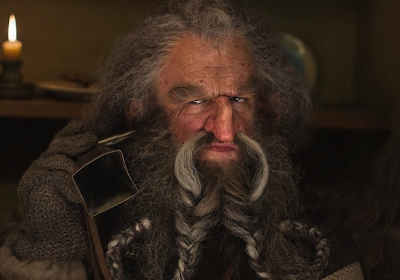 It’s effective, engaging interplay, and whilst it will certainly be the fans who gain the most mileage from it, and much of it may go over the heads of more casual viewers, An Unexpected Journey certainly benefits from fitting the quest of Bilbo Baggins and Thorin Oakenshield into the greater Middle Earth picture already established and known. 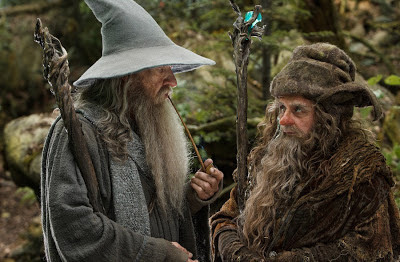 Radagast the Brown, played with inimitable oddball charm by Sylvester McCoy, is also given more than his mere mention in the original story, and although he only makes a handful of appearances, he is a fun, original addition to the tale and is weaved in with the wider story that continually distracts Gandalf and will no doubt continue to do so for the films that are to come. The character, his subplot and some of the choices such as his Rhosgobel rabbit sled are some of the more child-friendly and quirky parts of the film, but despite the extremity and potentially divisive approach to the character, it is nice to have the surprise and freshness of a new wizard character, and in being more light-hearted and humorous than your average Middle-Earthian, fits in with the lighter tone of Journey well. It will be interesting to see the eventual arc and fate that the character is given across the trilogy when considering his complete absence in Rings yet already established prominence in the tale and worldly goings-on of The Hobbit. The returning cast and new additions may give good Middle Earth, but the real draw and stars of Journey are our central band of heroes - Bilbo, Gandalf, Thorin and company, bolstered as they are by uniformly impeccable performances. 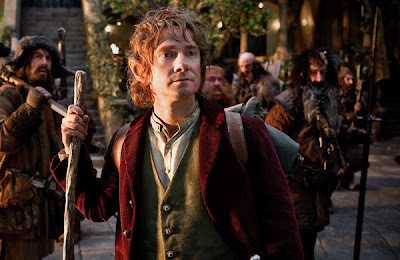 Martin Freeman makes a superb Bilbo Baggins, brilliantly capturing nuances of Ian Holm’s original performance whilst adding an energy and charm of his own. The character is at once both fresh yet familiar, and a very different flavour of protagonist to Frodo, once again befitting the tone and nature of this tale. Ian Mckellen is superlative as always - wily, knowing and authoritative in his return as Gandalf the Grey, dominating practically every scene he is in be it with shakespearean bravura or the merest and most subtle of knowing glances. Much of the weight of guiding the audience throughout the film falls once again on Mckellen’s shoulders, and he once again wraps his tongue around the languages and mythos with relish and conviction, an incomparably excellent guide to the wonders and ways of Middle Earth and Tolkien and Peter Jackson’s imaginations. In Thorin Oakenshield, Richard Armitage rounds out our core trio of protagonists with what is easily one of the films most effective and layered performances; stung by tragedy, brimming with pride, subdued arrogance and rage, and in this regal yet accessible and empathetic figure Thorin presents the films most intriguing and accomplished of the new additions to the cast of characters. 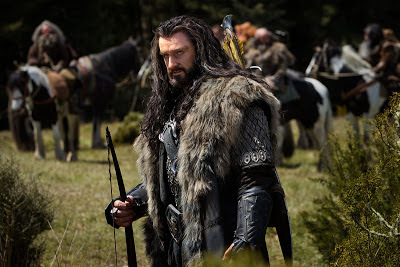 Thorin is one of the few characters the original story takes on any sort of arc or meaningful development, and coupled with Jackson, Walsh and Boyens’ brilliant instincts for character, and Armitage’s already excellent portrayal, one can’t help but feel incredibly excited and anticipatory for what is to come with the character in the next two films. With such a sizeable company of dwarves, there is naturally some imbalance in focus, with the only real standouts from the rest of the throng being young and rambunctious brothers Kili (Aidan Turner) and Fili (Dean O’Gorman) who offer shades of Merry and Pippin, venerable dwarf lord Balin (Ken Stott in a noble and endearing turn) and James Nesbitt’s charismatic Bofur who is given some charming, cheeky moments with Bilbo in particular. That’s not to say the rest of the company are completely sidelined, with the others given the odd moment of visual humour or invention - such as Dori (Mark Hadlow) being a congenial purveyor of tea and wines, some predictable but nevertheless humorous gags and quips at the expense of the portly Bombur (Stephen Hunter) and a running visual gag with the hard-of-hearing Oin (John Callen) and his makeshift hearing aid. As Gandalf quips, "they're quite a merry gathering" and though some of them are far less developed (or even have lines) when compared to the more rounded members of the Fellowship of the Ring, they are a vibrant, relatively distinctive crowd and Jackson and his team have done well in inheriting such a sizeable company and giving them each their own uniques looks and traits. Technically, it is unsurprising that with the return of much of the wizardry and artistry of the Rings trilogy and the masters at Weta Workshop and Weta Digital, An Unexpected Journey is a visual and technical triumph. The attention to detail and craftsmanship on display remains as bewilderingly impressive as it did when we bid farewell to Frodo and pals back in 2003, and visually the new Hobbit trilogy looks set to marry with Rings perfectly. There is a level of care, passion and attention to detail here that few blockbusters of this or any genre can match, with the vast majority of the set decoration, costume design, visual effects work and cinematography being once again of an industry-leading standard. Everyone has heard the praises sung of New Zealand’s stunning landscape ad infinitum, but it is true that Middle Earth itself is as much a character and signature of these films as anything else, and Jackson again goes to town in using the vistas and wilderness of his homeland to bring Middle Earth to life with sweeping majesty and vigour. 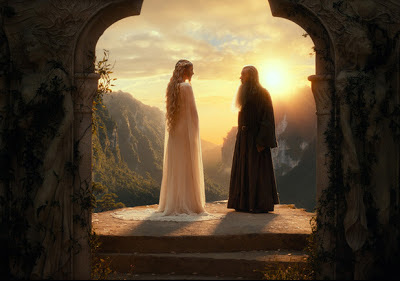 Likewise, the locations produced digitally are equally impressive, from a richer, golden-hued return to the autumnal beauty of Rivendell through to the winding, labyrinthine wooden metropolis of Goblin town. And even despite the generally unconvincing wargs, the unncessarily-digital Azog (who would have worked far better as a prosthetic) or the odd questionable Radagast composite there is some remarkable CG character work on display, most notably with the mountain goblins, the aforementioned stone giants, Humphries’ Great Goblin, the trollshaw trolls and of course Gollum, all of whom are exceptionally and charismatically animated, and are genuinely some of the finest digital effects work yet seen on screen. Howard Shore provides another beautiful, operatic score, blending returning leitmotifs and cues from his previous work on the series with some gorgeous new themes for the new characters and locales we experience. 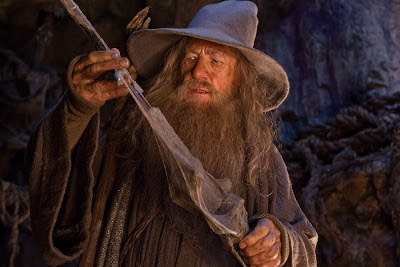 Wonderful moments such as Bilbo’s opportunity to slay or spare Gollum are not only written, directed and act to perfection, but are also underlined by a moving return to the same musical cues used in Fellowship when Gandalf recounted the moment to Frodo. Which leads to the thorny issue of frame rate. 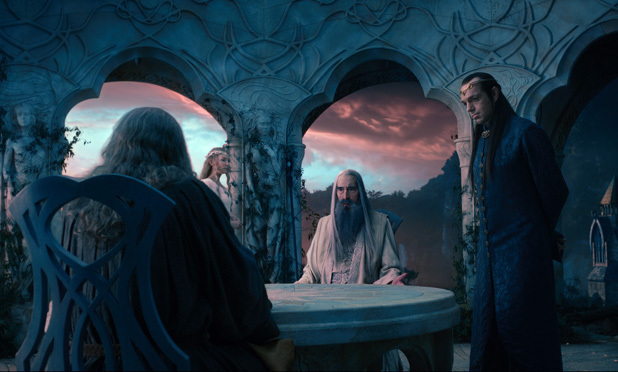 Much debate and discussion surrounds Peter Jackson’s somewhat controversial decision to shoot this new trilogy at the doubled frame rate of 48 frames per second. The effect of doing so is an almost pristine clarity and crispness to the frame, but the arguable downside of this is the film losing the vintage filmic sheen, looking more akin to a super HD television production. Having seen the film both in 48 fps 3D at it’s UK premiere and then 24 fps 2D for the purposes of this review, it is actually somewhat difficult to advise which experience should be opted for. 48 fps does give a distinctly different viewing experience, one that is definitely jarring and disconcerting at first, and certainly takes some minor adjustment to get used to. The downside of this new format is that, as mentioned, the film can occasionally be robbed of that quintessential cinematic feel, an aesthetic that a classical fantasy tale such as this does seem perfectly fitted to, and some scenes look and feel much more artificial as a result, conditioned as we are for a certain grade of image on our cinema screen. In addition, 48fps draws considerable attention to anything that is false or poorly rendered within the frame, with some moments of visual effects work looking considerably less believable and standout (for the wrong reasons) in 48 fps than they did in the latter 24 fps standard showing. Even minor enhancements, such as the CG plates and cutlery being thrown about in Bag End, register as effects work far more than they did in 24 fps. Interestingly though, the opposite was true with some of the more impressive and accomplished effects work - CG creations such as the Great Goblin, his minions and the trollshaw trolls all looked considerable more tangible, physical and real at the higher frame rate - simply looking and feeling more integrated and part of the world around them. This is particularly true of Gollum, who, in 48 fps, was the single most impressive and convincing visual effects work I have ever witnessed on screen. Additionally, some of the more kinetic and dramatic visual moments are far more engrossing and arresting than when they are viewed normally. As such, 48 fps is something of an oddity to consider, and definitely a curiosity on whether or not to recommend. The 24 fps was a much more consistent and comfortable viewing experience, but at the expense of some of the genuinely stunning moments that really leapt from the screen and amazed at the higher frame rate. Ultimately, it seems prudent that the standard accepted frame rate is a safer recommendation for the majority of standard moviegoers, but for those who are more technically minded or appreciative, or perhaps wish for something of a more innovative and original cinematic experience, there is still plenty to recommend and be impressed by with 48 fps, in particular its notable improvement of the depth and quality of 3D technology. Just don’t go in expecting a traditional moviegoing experience though, as it generally feels somewhat alien and jarring from the offset. Seeing that the original trilogy had more than just a few problems, despite being entertaining, but was far from a 5 star film. And you saying this has more problems than the first set of films... makes me think your review is quite biased. I appreciate your comments, and for what it's worth I think the Rings trilogy are more than worthy of 5 star ratings themselves. Therein seems to lie the central problem - everyone seems to default thinking that it must be marked in measure of The Lord of the Rings. An Unexpected Journey is a very different film and despite the natural comparisons and allusions to the previous 3 films it should be marked on its general industry attainment which is what was done with this review. Many people felt The Dark Knight Rises was the worst of Nolan's Batman films and yet we similarly gave it 5 stars. A film should naturally be compared to its predecessors but should be marked in respect of its own merits and achievements. I have nothing to be biased about regarding this film - as an enormous fan of the Rings saga I would be the first to mark it down and put it in its place if I felt it deserved it. great review! loved your opinions on the 48 hfr - I remember getting my hdtv for the first time I was amazed at how clear the picture was. Would be nice to have a similar experience in the cinema with this film Ive been so excited over but think I will try the standard screening first. Breathtaking analysis of a truly brilliant motion-picture... one of the rare ones that is in sync with my own estimation of the movie. Perusing through your exhaustive review was great fun.